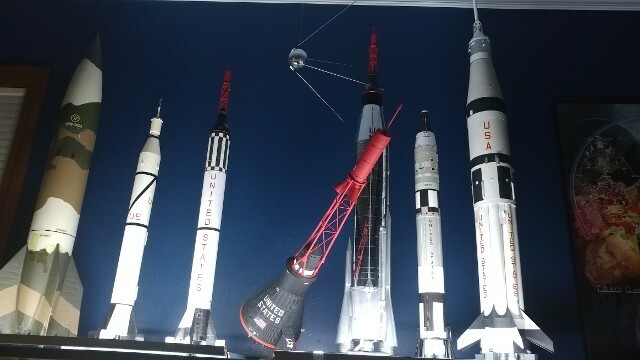 It seemed inappropriate to me that of all of the historic spaceflight models that can be seen in "that Lovely Apollo Room," there was no representation of the very first man made object to orbit the Earth. 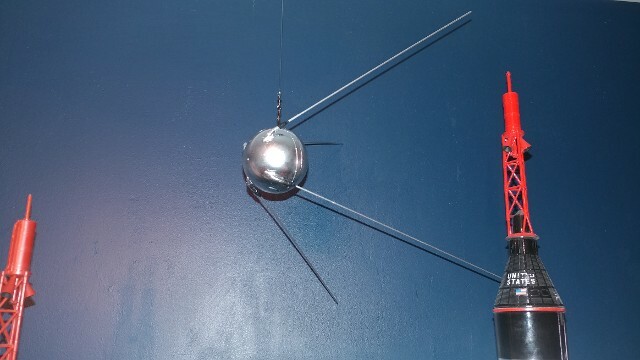 Thanks to our friends at Real Space Models in Florida, we were able to acquire and build a 1/12 scale model of the Soviet "primary satellite," better know as Sputnik 1 . Sputnik, the Russian word for "fellow traveler," was placed into orbit on October 4, 1957, using a re-purposed Soviet R-7 rocket. 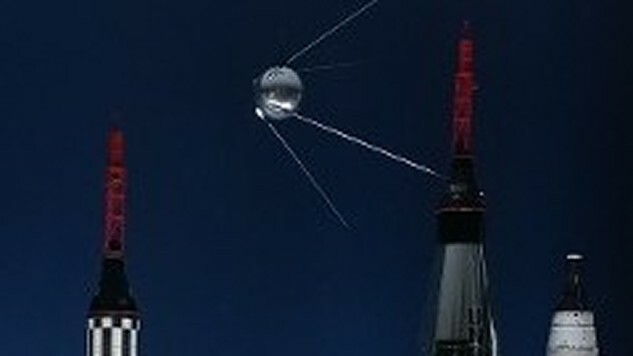 The rocket, the satellite and the launch event, all the work of Sergei Pavlovich Korolov, the Soviet "Chief Designer." The model is a simple two-part cast resin sphere, with resin cast parts to form the antenna mounts. The antenna are supplied steel wires, which are installed into the sockets of the mounts. The model was painted with a gloss black primary finish, and then coated with "Alclad II Chrome for Lexan" Chrome Spray Paint, which is unquestionably the best "chrome finish" paint I have ever used. It was the paint recommended by Real Space Models and is available on-line. 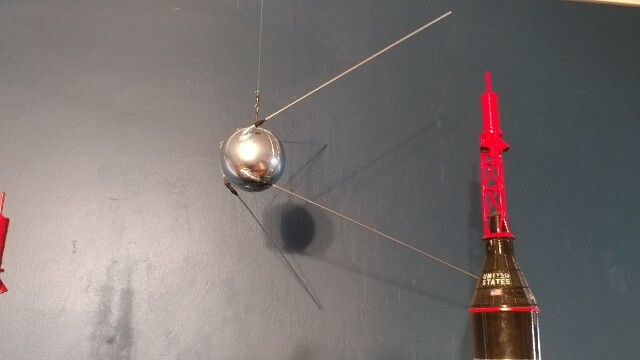 I really like the way Sputnik hangs above everything else on the main disppay shelf, as if to show that it heralded the path forward to the new Space Age.